Alien encounters, science fiction movies, dreams of becoming an astronaut—the possibility of life beyond Earth has always fascinated us. But our curiosity has outpaced our ability to explore space. Scientists must turn to the known to learn about the unknown, finding clues about life among the stars in places like dark caverns, ice-covered Antarctic lakes, and Yellowstone’s geysers. If we imagine that life on Mars will be cold and dry, for example, we can find similar locations on Earth to help us understand how life might have evolved there. Brittany Kruger, Ph.D., of the Desert Research Institute, will discuss how she looks for signs of life in Earth’s subsurface that could be used to detect life on other planets. 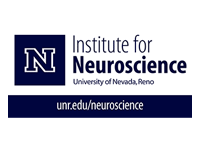 As a philosopher of science, Carlos Mariscal, Ph.D., of the University of Nevada, Reno will provide a different disciplinary perspective, considering how philosophy can help us map the parameters we use to define life and our search for it elsewhere in the universe. Together, their talks will prompt us to think about how we navigate the boundary between the known and unknown. Science Distilled, the lecture series created by DRI and The Discovery, makes cutting-edge science approachable through presentations on current and curious topics held at hip locations in a social atmosphere. 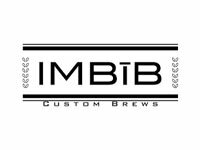 Ticket price includes complimentary beer provided by IMBÎB Custom Brews.